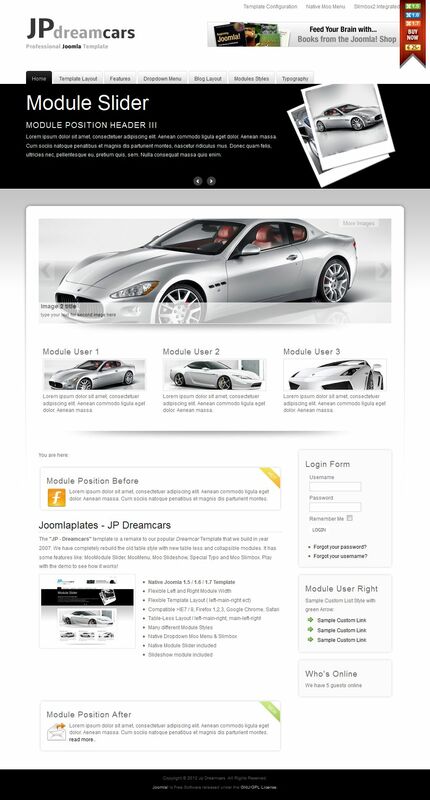 JP Dreamcars template specifically designed for automotive sites with an opportunity to visual presentation materials. This template was created completely new style tables with the possibility of connecting modules. The template provides a number of useful features: image rotator MooModule Slider, flexible menu MooMenu and Moo Slimbox. Template design very high quality and easy to set up.